Good. 1118458346 This softcover has a tight gold spine without reading crease. Covers have moderate shelf wear. A few pages at end of book has light tan moisture staining on top of pages. We ship FAST! Good. 1118458346 Used paperback 5th edition-TEXT ONLY (NO SOFTWARE, NO ACCESS CODES). Some shelf wear and creases on the cover. Pages are very clean with little to no marking/highlighting. Ready for immediate shipment. E-mail confirmation & tracking number assigned. New. No dust jacket. Brand New Book-Fast Shipping. 480 p. Audience: Professional and scholarly. Very Good. Spine is uncreased, binding tight and sturdy; text also very good. Crease to corner, otherwise shelfwear is very minor. Ships from Dinkytown in Minneapolis, Minnesota. Due to the size/weight of this book extra charges to apply for international shipping. 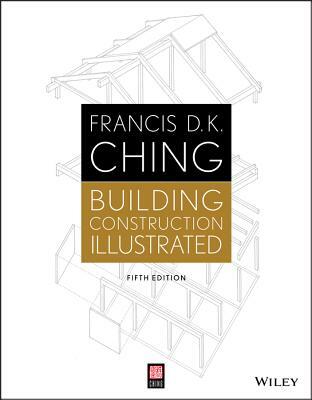 This book is a great addition to any library of any person invovled in the construction business, of any phase: planning through the actual completion of the building. It is a great addition to what I already possessed in mine. It has already been of assistance in my drawing of plans for residential housing.